In this seminar, Dr Robin and Dr Jane will discuss ocular conditions commonly seen in general practice. By the end of the seminar, you will be able to recognise common eye problems in the dog and cat, and be more confident in treating and managing common eye diseases in the dog and cat. Robin Stanley graduated from the University of Melbourne in 1984. He undertook an ophthalmology residency from 1987 to 1989, obtaining Membership of the Australian College of Veterinary Scientists (ACVSc) in small animal surgery, and in 1990 obtained his Fellowship of the ACVSc in ophthalmology. 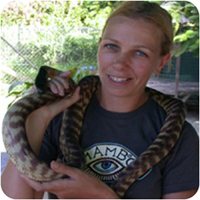 Robin is registered as a veterinary eye specialist and is on the Board of Examiners of the ANZCVS. 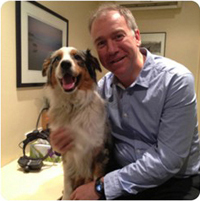 He and two other veterinarians run a dedicated ophthalmology-only practice in Melbourne. His clinical interests are in ophthalmic surgery, particularly small incisional cataract, hypertensive retinopathy and glaucoma. He is visiting senior lecturer to the Veterinary School of the University of Melbourne where he conducts ophthalmology clinics. Robin has authored and co-authored 18 peer reviewed publications, co-authored Common Eye Diseases – A Problem Oriented Text for Veterinarians and contributed to textbooks such as Fundamentals of Veterinary Ophthalmology, Small Animal Ophthalmology, A Problem Oriented Approach and Small Animal Clinical Pharmacology. Robin was the winner of the prestigious Tom Hungerford Award in 2010 and is the author and tutor of the long running and popular CVE DE course in Ophthalmology.